WWE and Wrestling Toys give your child knock-down, drag out, action fun. We offer an assortment of WWE Ruthless Aggression Action Figures as well as a WWE Wrestling Rings to hold their own wrestling matches. Buy your child a WWE Championship Belt and let them proudly pretend they are the WWE champion. Our online toy store offers many WWE and Wrestling Toys. We also have additional ones in our local stores. 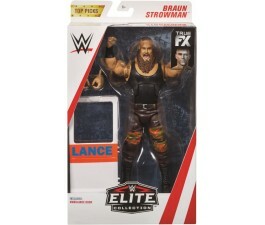 Our WWE Wrestling Toy prices meet or beat the competitors’ sale prices without the hassle of driving to pick them up. We can deliver directly to you. The world of professional wrestling has not only gained tremendous popularity among adult sports’ fans in recent decades, but has also captured the hearts of children. In fact, children seem to be the largest fan base of the WWE. The world of wrestling is not only great for children who love sports, but any child who loves the action and entertainment factor of watching their favourite heroes compete against each other. With the growth of professional wrestling, and the ever-increasing youth fan base, it’s no surprise that WWE toys have become increasingly popular as well. The first wrestling action figures and toys were introduced to the world in the 1980s, when professional wrestling began to enjoy it’s ascent to the height of popularity. Since those original action figures and toys, the products have become better and more realistic with every year. Children adore WWE toys because they bring their favourite characters to life. Much like the classic and highly popular GI Joe doll, WWE action figures and toys let children use their imagination to create worlds similar to those they see on the television screen with their favourite characters. Wrestling toys are design to bear likeness to a range of the most popular wrestling characters, and as they have continued to be changed and modernized, have also gained more lifelike movements and qualities, making them a favourite toy for children all over the world. In addition to action figures, there are other toys associated with the WWE that children enjoy, including belts, masks and armbands.